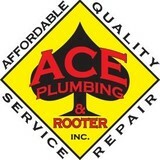 Ace Plumbing & Rooter of San Francisco is your emergency plumber and 24 hour plumber for residential and commercial jobs around the Bay Area. With over a decade of service to the San Francisco Peninsula, we understand what dedication and expertise means to our customers. When you’re in need of a quality plumber in the San Francisco Bay Area, your Ace Plumbing professionals are ready to help. Our fully certified team of licensed professionals is knowledgeable in, and abides by local building codes and industry standards. 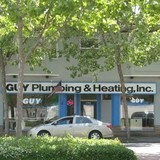 Guy Plumbing & Heating, Inc. Established in 1948, Guy Plumbing & Heating is a fourth generation family owned and operated business located in Menlo Park, CA. We have been providing the Bay Area with a wide range of quality products and services for over six decades. We also have a full service showroom with a professional staff of consultants and installers to assist you. We ONLY INSTALL what we offer through our showroom in order to guarantee the products & labor we provide. Please check our service area limits below. Full service Plumbing Company. Serving Santa Cruz County since 1999. 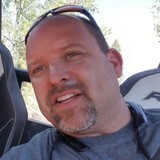 Flow Pro Plumbing was founded on over two generations of plumbing knowledge and experience. Our love for the trade and passion for working with people is what makes us unique. We take pride in producing quality work and don't leave a job until the customer is satisfied! Flow Pro Plumbing specializes in residential service and repair plumbing. Any plumbing problem you may have big or small we've got you covered! Just a few of the services we offer are: drain cleaning, main line rooting, repairs, water heater replacement, tankless water heaters, bathroom additions, garbage disposals, repipes, faucet installs, leaky toilet repair, emergency repair, etc. Local Family Owned Company. Latest technology, Professional, Clean Technicians. 100% Satisfaction Guaranteed in writing. All Jobs. No matter what your issue is we can solve it. Water Heaters, Gas Lines, Water Lines, Drain Cleaning, Trenchless Sewer line Replacement and any other plumbing projects you may have. We do them all. We'll be there for you. Welcome to A1 Budget Plumbing. 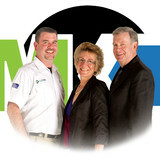 Family owned and operated plumbing company is fully licensed and insured. We can take care of both residential and commercial plumbing projects including, drain cleaning, water heater installation, sewer line repairs & much more. Have serviced the bay area for 9yrs including existing accounts such as Costco (both in SSF), Edwardian Hotel, Hayes Valley Inn, and many more. Also proud to be a military veteran. I am the sole proprietor of Pat O'Neill Plumbing. I am quite unique as a woman in the plumbing industry. Many people prefer woman in their homes for numerous reasons. I have been plumbing for over thirty years. I enjoy working with home owners. With more than 15 years of professional experience and 14 years serving the local community, you can count on Smart Choice Plumbing for all your plumbing needs. We even provide 24-hour emergency repair services! From routine maintenance to in-depth repairs, we offer the skill needed to solve any problem! If you have plumbing issues, Smart Choice Plumbing is a company you can depend on. Friendly Expert Plumbers. Dependable and technologically advanced. There is no job too big or too small, we do them all. We offer extended after hours for Emergency calls as needed. Our technicians specialize in not only plumbing repairs but also drain/rooter issues, water heaters, sewer lines, water lines and so much more. Our #1 priority is to have excellent customer service and 100% customer satisfaction. Call us today and you will be so happy you joined Dependable Rooter and Plumbing, and become another member of our happy family both clients and employees. We are a family business serving Contra Costa County and the Bay Area since 1946. There is no plumbing project too small or too big for us to help you through. Our philosophy is simple, be fair and efficient. We want to be your family's plumber for life, not just for today. Established in 2011, Flow Masters Plumbing Inc. is an all-inclusive plumbing contractor based in San Francisco. 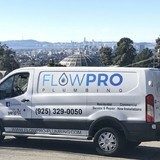 Flow Masters Plumbing was founded by Alan Moran and Fergal McMahon with the aim of quickly becoming San Francisco’s most innovative and leading plumbing contractor. We have made consistent progress towards this goal establishing strong working relationships with our Bay Area clients along the way. We offer services in plumbing, radiant heating, solar and fire sprinklers to public, commercial and residential clients. Our extensive domestic plumbing service includes residential and commercial remodels, new-builds and full building copper re-piping. We work together with our clients and oversee all stages of our radiant underfloor heating and fire sprinkler projects from the design process to installation, and testing. This all-in-one approach has given us the edge over our competitors by minimizing the number of companies our clients require to complete a job. Our clients have often singled out our team’s communication and professional manner as one of the main reasons they choose Flow Masters Plumbing. These traits along with our uncompromising quality of work and competitive pricing have already established us as a leading force in the industry. High value clients we have worked for in the past year include EBMUD and Sutter Health San Francisco. At Cabrillo, we're not content with being just an honest, dependable company. Far from it. We'll stop at nothing to ensure your satisfaction, even your delight, with every point of the service experience. Our goal is to astound you and leave you with the knowledge and assurance that you've chosen the right company for your home service needs. Welcome to Whistle Plumbing, located in Daly City, CA. Our family-owned and -operated plumbing company is fully licensed and insured with a great reputation within our South Bay Area community. We’ve been in business since 2011 and look forward to serving San Bruno, Daly City, and South San Francisco for many more years. We can take care of both residential and commercial plumbing projects including, drain cleaning, water heater installation, sewer line repairs & much more. Contact us today! At Advanced Quality Plumbing & Rooter, whether you require routine servicing or extensive plumbing repairs, our San Jose plumbers are here to get the job done right the first time. Your satisfaction is our priority and we offer a one year guarantee on all of our work! Thumbs-Up Rooter is not a corporation, franchise nor do we pay commissions to our employees. We bring affordability , dedication and fairness to our customers with 100% satisfaction and always a guarantee to the service we provide by adding more value to the dollar you invest in you're home or business! Thumbs-Up Rooter and Plumbing provides a full plumbing service of water heater installs, tankless water heaters, home water re-pipes, sewer repair, trenchless sewer lateral installs, water filtration systems, faucets, garbage disposal repairs, toilet installs in the entire Bay Area. We are experts at clearing main sewer line stoppage, kitchen drains, bath drains, floor drains & laundry drains. A plumbing contractor handles the installation and repair of water, sewage and natural gas pipes throughout a home, as well as interior and exterior faucets and fixtures. Plumbing contractors are also trained to work with water mains, septic tanks, laundry appliances, water heaters, sump pumps and other plumbing and pipe systems. Because plumbing repair work is done largely behind walls and beneath floors, some plumbing companies can also patch or replace tile, stonework and other surfaces. Although some Half Moon Bay plumbers are generalists, others specialize in specific areas; a 24 hour emergency plumber will handle urgent residential repairs, while others may be more skilled in remodeling, natural gas lines, overhead sprinkler systems and more. Find a local Half Moon Bay plumber on Houzz. Narrow your search in the Professionals section of the website to plumbing contractors in Half Moon Bay, CA. You may also look through photos of Half Moon Bay, CA projects to find a licensed plumber who has worked on a project similar to yours. Here are some related professionals and vendors to complement the work of plumbers: General Contractors, Septic Tanks & Systems, Kitchen & Bath Designers, Kitchen & Bath Remodelers.